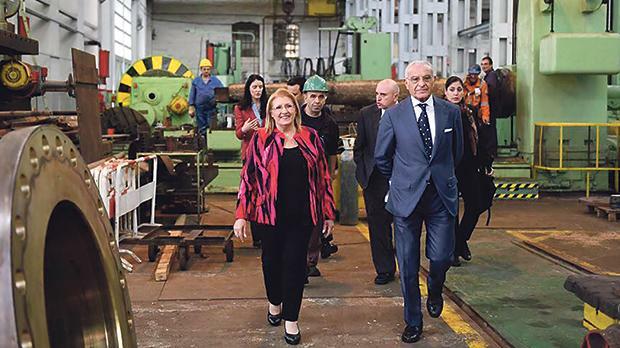 President Marie-Louise Coleiro Preca’s eyes shone as she toured the workshops and docks of the Palumbo Malta Shipyard with CEO Antonio Palumbo during a recent visit. The shipyard is also one of the main sponsors of a grand concert being held next weekend under the patronage of the President. The concert will feature world-renowned violinist Uto Ughi and the Filarmonici di Roma at the Mediterranean Conference Centre in Valletta on Saturday at 7.30pm.